FREE SHIPPING w. $98 ORDER. 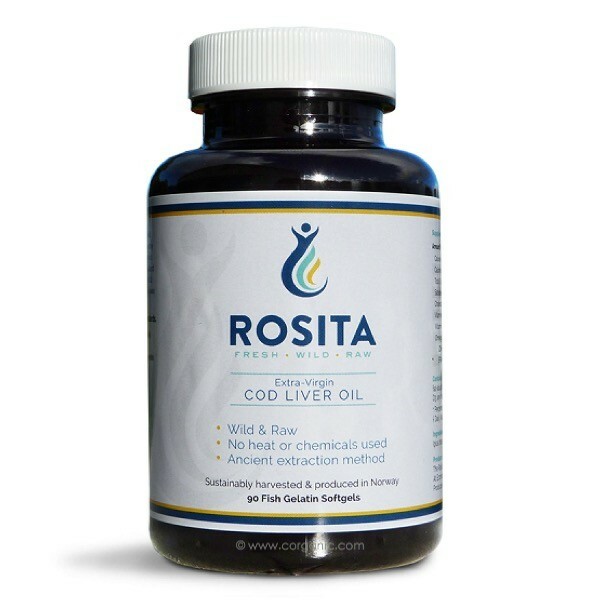 Rosita Cod Liver Oil Capsules are the easy way to get natural Vitamins A and D with unprocessed high DHA to EPA fish oil. Extra-virgin Rosita cod liver oil is fresh, raw, and light gold in color. Completely unrefined and extracted in Norway with ancient harvesting techniques. No lengthy vat brewing. Rosita’s company boats bring fresh, cold-stored fish quickly to shore. With only the shift in temperature (and the change in pressure from water to air), the oil is allowed to drain from the extracted livers as soon as the boats come to dock. No middlemen or long transport to a factory. Rosita has more DHA than EPA, a beneficial ratio only found in true northern cod. Anti-inflammatory and immune boosting, with the true natural forms of Vitamin D and A. Best with Vitamin K2 for absorption. Also available here in liquid form. 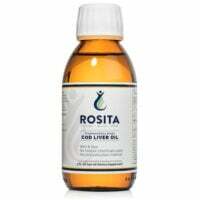 3 Rosita Cod Liver Oil gelcaps supplies 1/3 tsp. of Cod Liver Oil. Store at room temperature; do not refrigerate. Take with food with fat to improve absorption. 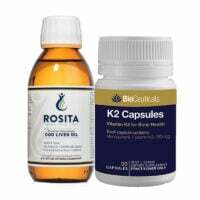 Always take Vitamin D (such as Cod Oil contains) with Vitamin K2 such as our Emu Oil or BioCeuticals K2. There is only a tiny amount of K2 in High Vitamin Butter oil. Extra D3 may be helpful too. Ingredients vary slightly as this is a wild-caught product.